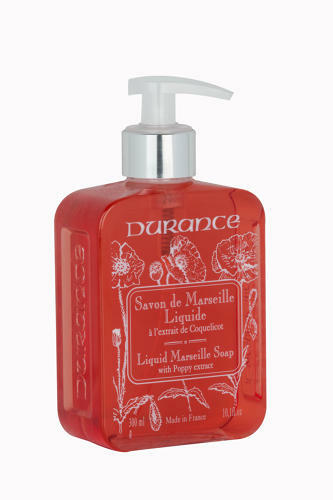 POPPY LIQUID SOAP - Durance's Marseille soap is made in a cauldron, as is traditon. Its formula, based on plant oils, gently cleanses. Infused with a light and airy scent to evoke the feeling of wild summer poppies. Format: Small handwash size, perfect for bathroom basins and kitchen sinks.